This is the time of year where each latitudinal half of the planet enters into its deep temperature seasons. In the northern hemisphere, we are layering up more and more every week and lamenting about the cold. In the southern hemisphere, the shorts and tank tops are coming out and runners are mindful to take it super easy in the heat and humidity. Imagine, if you will, racing in the extremes of both of these scenarios. This week we meet Holly Zimmermann, a mother of 4 who has endeavored to take on some of the world’s most dangerous and difficult foot races. Not long after tackling the grueling 257-kilometer ultramarathon through the Sahara Desert known as the Marathon de Sables, she challenged herself with the opposite extreme in Greenland. Holly ran the Polar Circle Marathon with temperatures low enough to cause frostbite within minutes. 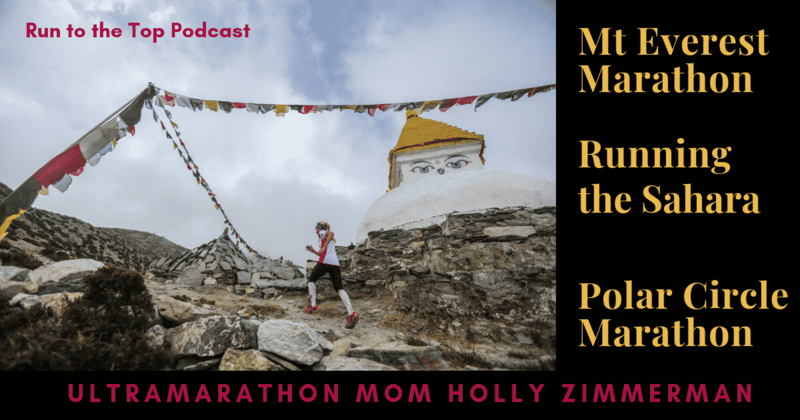 She shares her experiences with training, planning, and gear for ultramarathons as well as nutritional tips for fueling the body, giving us a sample of the wonderful book she wrote: Ultramarathon Mom: From the Sahara to the Arctic. Holly was also the first international woman to to place in the Everest Marathon in 2018. She describes how taken she became with the people and partners she encountered in her racing. Perhaps this plants the seed that begins your extreme sports adventures or offers a gift book idea for that extreme sport enthusiast on your holiday gift list. 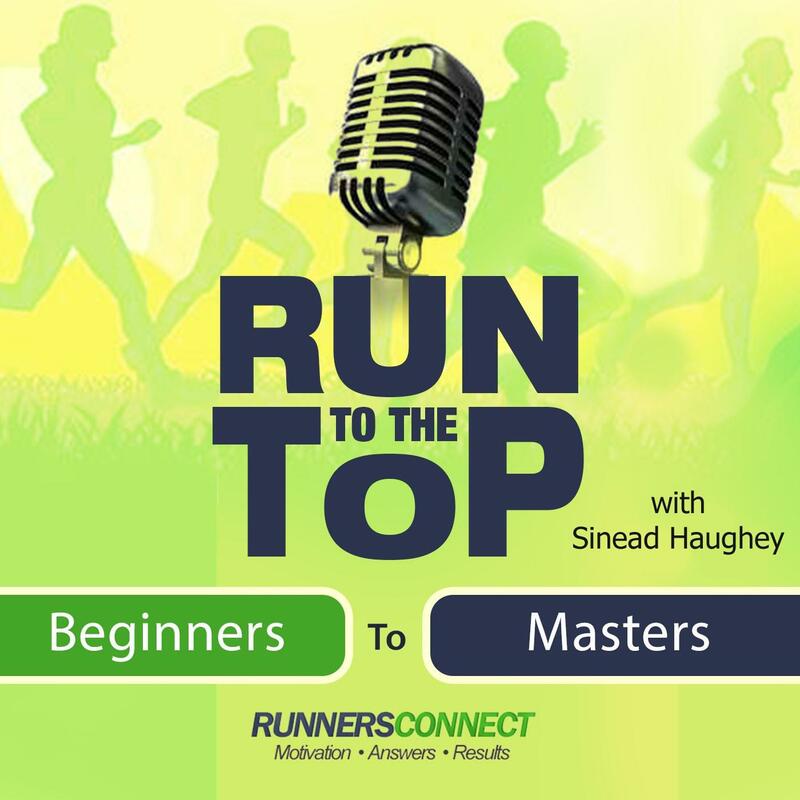 4:06 How did you get started with running and how did you get into extreme sports? 5:34 How old were you when you ran your first 5k? 6:26 What was your first ultra-distance race? 7:11 What prompted you to run the race in the Sahara? 8:39 What was the race distance? 9:05 What can you tell us about the race, logistics, course and people you met? 10:48 How did this course differ from a traditional road marathon? 12:27 How do they mark a desert course? 13:18 Did you have GPS equipment? 13:44 Why did you decide to write a book about that experience? 16:02 Would you run that race again? 17:03 How did the gear lists differ between the Sahara race and the Polar Circle Marathon and how did you figure them out? 18:09 How did you prep for the Polar Circle Marathon? 19:24 How did you prepare for the temperatures and what gear did you have for it? 21:49 What was your experience like in Boston in 2013? 24:49 How long have you been a vegan and what made you decide to become a vegan? 26:48 How do you get enough nutrients from a plant-based diet? 27:49 How strictly vegan are you? 29:06 Did you eat ghee? 29:38 How does a vegan diet work with ultra-distance training? 30:56 What’s the difference between ferritin and iron testing? 32:15 Do you use supplements? 33:44 What was your experience with the Everest Marathon? 36:18 What was the starting elevation at Everest? 36:43 When does your Everest Marathon book come out? 38:09 Who was your initial inspiration to run ultras? 39:18 Do you have a title? 39:44 What would you like to share about extreme sports and following dreams? Book: Once a Runner by John L. Parker, Jr. Available today at NuNeeShop.com. Use code RC30 for a 30% discount.